We are committed to providing the best medicine for patients and caregivers across the Commonwealth. Prime Wellness of Pennsylvania has a broad mix of hand-selected genetics in our library. We encourage you to check with your local dispensary on the availability of our prime quality line of flower products. Description: Sativa structure with extreme smell and flavors very similar to sour diesel. Description: Vintage grassy haze structure with a powerful aroma of cherry lime funk. Description: Lime green flowers with acute flavors of pine and citrus. Description: Large bright buds with a unique flavor similar to coconuts and black licorice. Description: Haze and Sativa structure with savory flavors of spice and leather and undertones of lemons and chemdawg. Description: Sativa structure covered in diamond-like trichomes and crisp flavors of lemon and spice. Pheno 1: Extremely haze dominant with complex aroma of citrus and spice. Description: Dark-colored buds with haze dominant structure and interesting flavors of spices, incense and berries. Description: Lime green flowers with fruity sweet flavors mixed with hints of citrus and spice. Description: Beautiful flowers packed with smooth chem and tropical flavors. Description: Light green uniform buds with subtle hints of melon. Description: Appearance resembling both parents with a pungent flavor of chem, leather, and funk. Description: Chemdawg D dominant structure and flavors. Description: Chunky buds with a great blend of afghan and chem flavors. Description: Dark green flowers with bright orange pistils paired with sweet and funky kush flavors. Description: Classic cookie structure with a creamier flavor similar to cake batter. Description: Beautiful resin covered purple and green flowers with the smooth flavor of Highwayman with undertones of gas and kush. 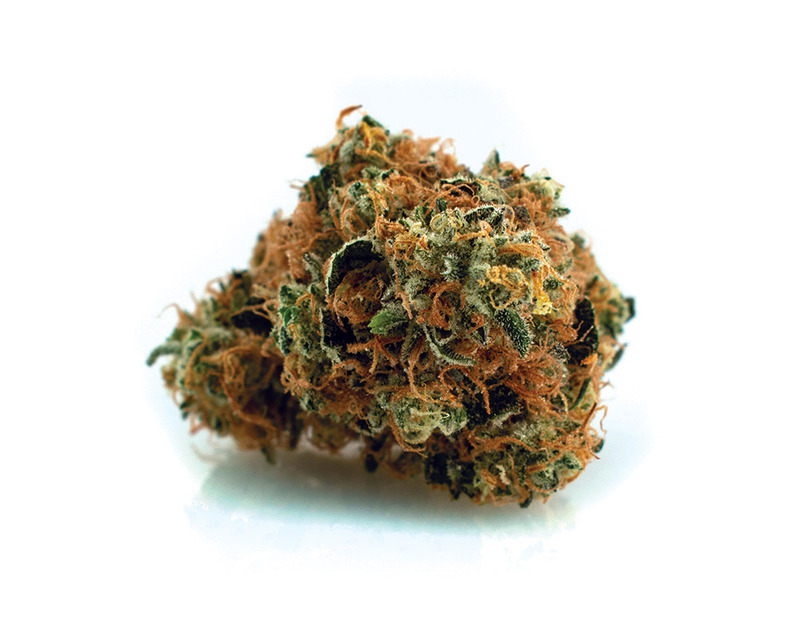 Description: Bright orange pistils with mellow flavors similar to Cinderella 99 reminiscent of sparkling wine. Description: Large calyxes with purple hues laden with OG Kush and grape undertones. Description: OG kush dominant structure and flavors laden with hints of sugar and diesel. Description: Kush-like flowers with spiky calyxes and layers of flavor ranging from garlic to gasoline. Description: Dense kush-like flowers, with an expected hashy sweetness mixed hints of chem and OG. Description: Typical structure and appearance of the "Chem" line with pungent funky flavors of Chem and OG kush. Description: Dark flowers with shiny trichomes providing vintage soap-like flavors. Description: Great structure with vintage cherry afghan flavors laden with undertones similar to OG Kush. Description: Appearance resembling ACDC with flavors of cherries, incense, and spice. Description: Beautiful cookies structure covered in trichomes boasting pungent flavors of chem, cookies, and kush. Description: Resin covered buds with very intense flavor of lemon and pinesol. Description: Trichome covered buds and aromas of sweet earthy bread. Description: Sugary buds with flavor similar to cotton candy bubblegum. Description: Dense colorful buds with subtle hints of citrus paired with strong aroma of cookies. Description: Resin-covered buds with huge calyxes and subtle flavors of soap and fruit. Description: Beautiful buds covered in white trichomes with dominant flavors of cream pie with hints of leather. Description: Orange pistils and bright white trichomes cover the flowers with very distinct flavors of both Chem4 and SFV OG. Pheno 5: Very sharp flavors of chem and pepper. Pheno 10: Flavors of pepper, funk and hints of chem. Pheno 15: Our favorite pheno that has flavors of gasoline and chem with undertones of fermented strawberry. Description: Afghani structure with heavy resin coverage and a classic "Hashplant" flavor of leathers and incense. Description: Resin covered buds with unique flavors of cream and grape incense. Description: Similar to the other Kunduz hybrids with unique flavors of hash and incense. The mother of this line was dubbed the Z pheno due to the ha"Z"e dominance, which is apparent in Kunduz Z's oddball flower structure. Description: Bright, beautiful orange sugary buds covered in trichomes and bursting with citrus flavors. Description: Bright beautiful orange and sugary buds covered in trichomes and bursting with citrus flavors. Phenotype #5 is the most unique version of this strain with pink hues, a creamier flavor, and most indica leaning terpene profile. Description: Kush-like structure evident of the Bubba lineage, with undertones of kush and fruit, similar to Hashplant. Description: Delicate buds with beautiful purple hues and apparent scent of grape candy and lemon drops. Description: Lime green flower with light orange pistils combined with intense lemon and classic sour diesel flavors. Pheno 11: Blueberry dominant with hints of lemon. Description: Trichome covered flowers with smooth flavors with hints of chem.